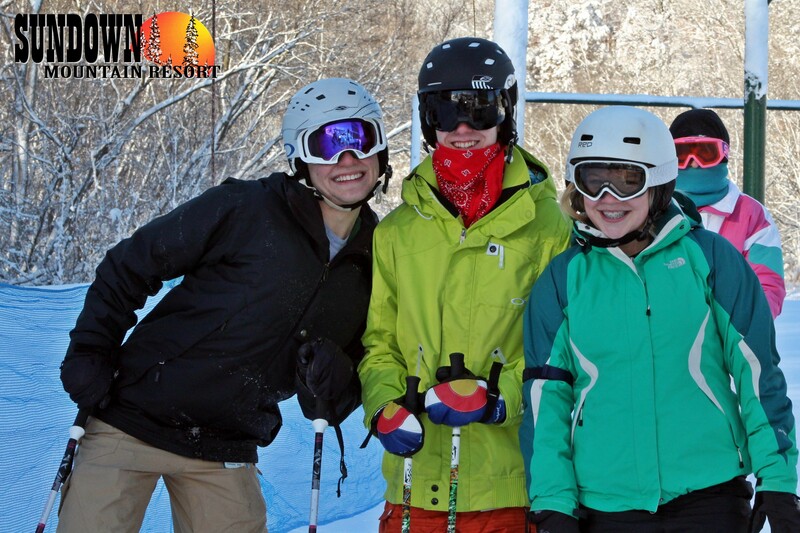 Sundown Mountain offers a variety of challenging skiing and snowboarding terrain in the midst of the Iowa farmland. Located just a few miles from where "Field of Dreams" was filmed, the resort is proof Iowa is not all flat. There's a 475-foot vertical drop with terrain cut out of an old cedar forest that's spread out over 45 acres. From the top of the scenic ski hill you can see three states and the Mississippi River valley. Sundown offers runs to accommodate all levels of skiers plus an expanded nine-acre terrain park featuring a halfpipe and lots of new rails and jumps. The North Lodge offers dining that will satisfy even the biggest appetite and even has big screen TVs and a lounge. Ski carpet and expanded learning area, rentals, gift shop. Full bar with fireplace, cafeterias with large screen TVs, and lounges. National Ski Patrol at the area. Gaming available in Dubuque. One hundred percent snowmaking. Get Snow Reports, Powder Alerts & Powder Forecasts from Sundown Mountain straight to your inbox!